Ava has been eagerly awaiting Easter for the last few months. We've had a letter with "It's for you Easter Bunny" written on it sitting by the front door since February and we've been counting down the sleeps pretty much since Christmas. 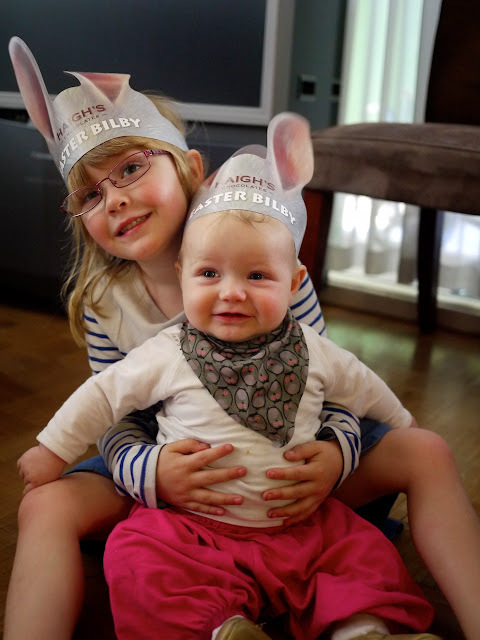 Well, Easter is now almost over and I'm pretty sure that it has lived up to Ava's high expectations. 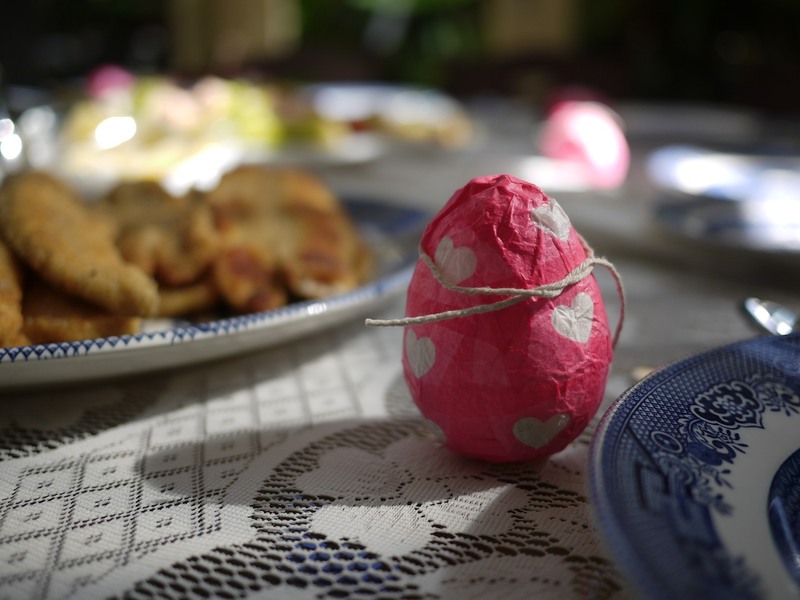 There have been barbeques, Easter egg hunts, chocolates galore, hot cross buns, shiny pants and of course, the Easter Bunny stopped by overnight to deliver goodies. Easter seemed like a great opportunity to try out a few crafty ideas and there was plenty of inspiration coming into my inbox almost every day thanks to some fantastic blogs that I subscribe to. 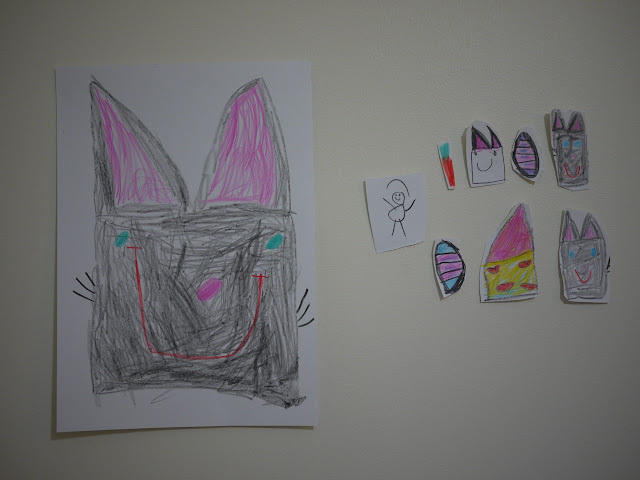 My favourite ideas came from the fabulous and very talented notmartha.org. Of course, I didn't have time to try everything but I couldn't go past the papier maché eggs on Not Martha. I figured these would be pretty easy to make considering my recent papier maché experience. You can find the instructions for the papier maché eggs here on Not Martha. 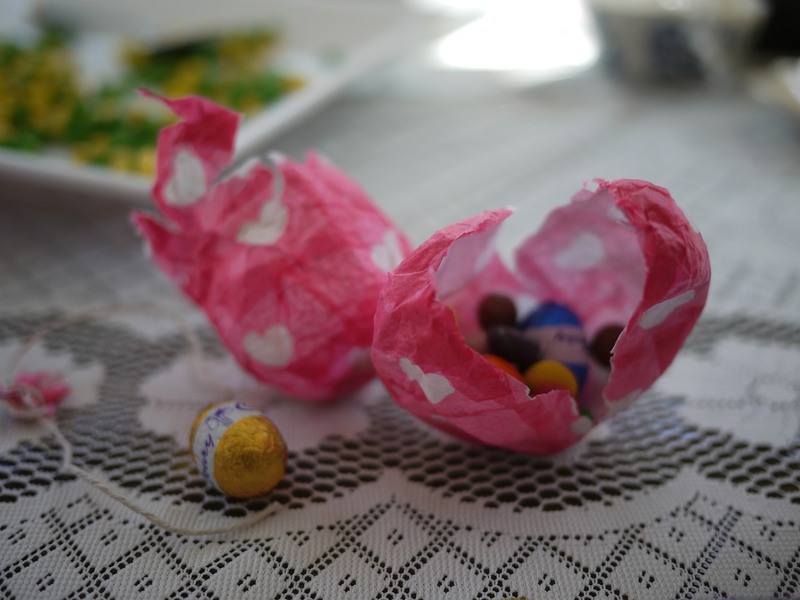 I set the eggs on the table for Easter Sunday lunch and after everyone had finished their seafood the eggs were ripped open to reveal the chocolate bounty inside. 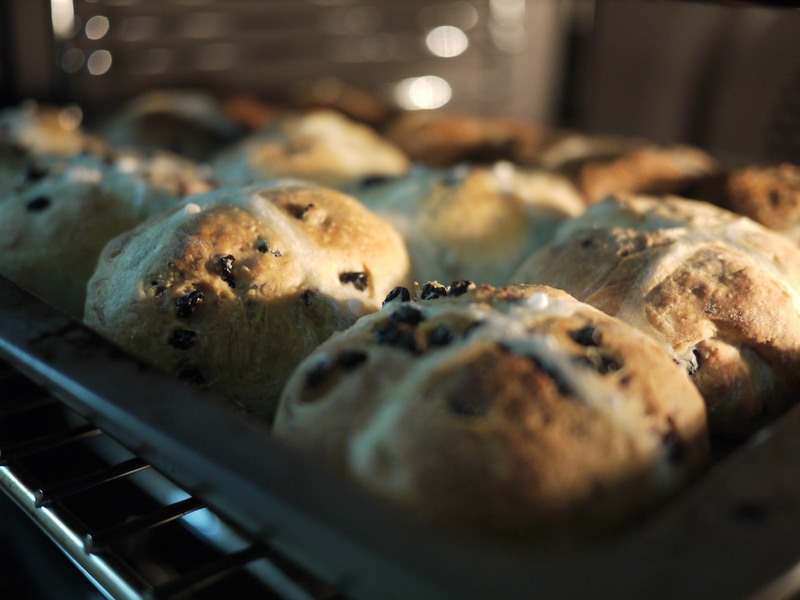 This year I also made hot cross buns for the first time. These were quite easy to make and were very yummy. You can find the recipe I used here. I modified the recipe slightly by adding extra mixed spice. I also made a batch of chocolate hot cross buns in which I substituted the currants with chocolate chips and added cocoa with the dry ingredients. Note to self for next year: Don't start making hot cross buns at 10:30pm again. By the time the dough had risen twice and the buns had baked it was almost 2am! As Lola is a little young for chocolates this Easter she was treated to baby custard instead. Hey, when you've only been eating solids for a few weeks custard is pretty exciting! 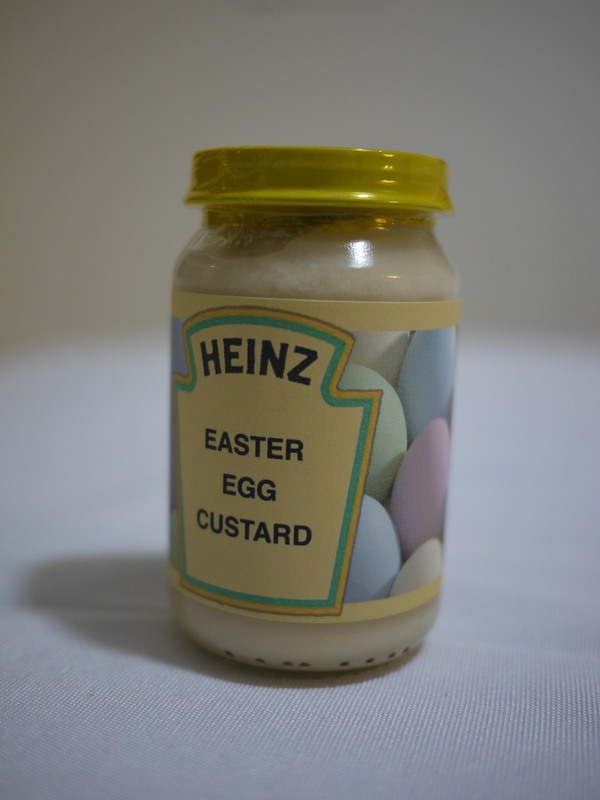 The Easter Bunny left Lola a jar of "Easter Egg" custard (good old Heinz baby egg custard with a pretty new label) with her presents and hid tins of chocolate baby custard in the backyard along with the Easter eggs for Ava. Now, you may have noticed that I mentioned "shiny pants" above. You may also have been dazzled by Ava's legs in the last photo! The thing that Ava was most excited about over Easter wasn't the chocolate or the hunting for eggs, but the fact that she finally got the pair of pants that she has been asking for since Christmas! 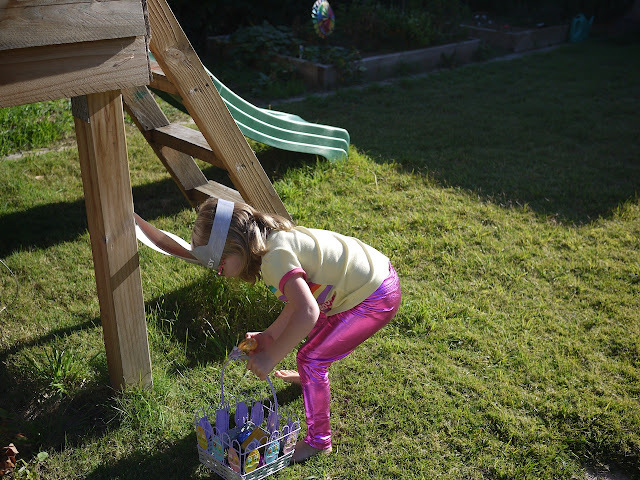 I had been hesitant to buy Ava these incredibly shiny lamé pants from American Apparel but she kept asking for them over and over so I eventually gave in and got them for her for Easter. They do, after all, look quite similar to an Easter egg wrapper! 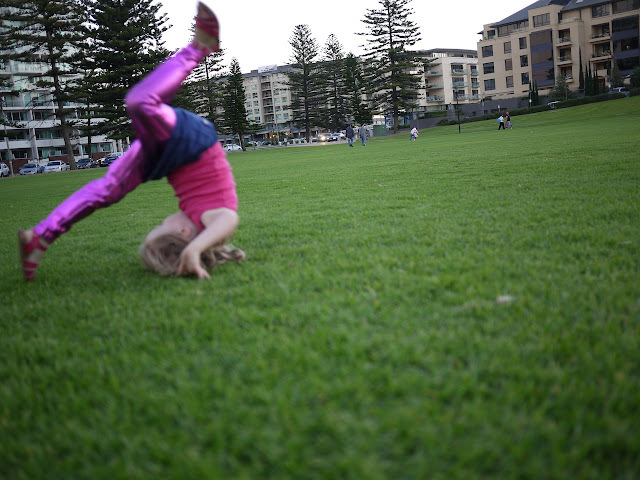 Here are the shiny pants in action at the park on Easter Sunday. 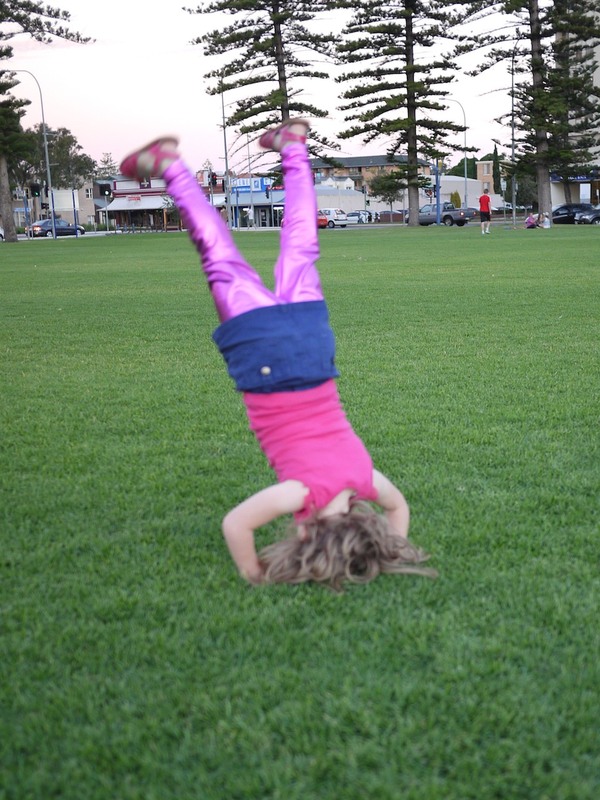 I didn't even know she could do handstands! I hope that you all had a lovely Easter break and that the Easter Bunny brought you lots of chocolates - and maybe even some shiny pants!